You are here: Home / Pre Dialysis / What Is The Best Food For Stage 3 Kidney Problems? What Is Important For Stage 3 Kidney Problems? As always, you will quickly tire of foods that don’t taste good or are completely different than what you normally eat. You need to find a way to continue to eat similar foods but not increase problems with your kidneys. Listening to your doctor’s advice is the most important thing you can do. You can ask questions about your labs and what parts of the diet are the most important to start with. Get their opinion on whether you need to control your related conditions better (diabetes or high blood pressure), or if you need to start the lower protein and other tighter restrictions required as you head toward other stages of kidney disease. If you need to control your high blood pressure or diabetes better, you can use a meal plan for those as well – read more about our sister site’s meal patterns for diabetes and cardiac disease by clicking here. If you need to start focusing on a stage 3 kidney diet, you can do several things. Most of the changes with a kidney diet revolve around lowering protein intake in stage 3 kidney disease. Eating smaller portions of meats and beans gets you started on the right track. At this point, most people do not have to lower their intake of potassium, so focus on lowering the sodium in your food – which will be hard enough. Portion sizes – just however much you scoop up right? Nope, you need to learn now how much protein is in one ounce of meat, and how that looks on a plate. It looks a lot like a deck of cards. It’s not very big. You will find that you can eat much more of the fruits and vegetables as well as starches on your plate than meat. Some people move to a meatless meal 1-2 times per week so they can have a bigger and more filling meal. It’s just hard to go from 9 ounces or more to 3 ounces. But it’s what you have to do. And speaking of portions, you will need to pay attention to a couple of foods. Most people with stage 3 kidney problems avoid potatoes, oranges, bananas, cantaloupes, and tomatoes. They are high in potassium and many people just start moving away from them. Substitute noodles and rice for the potatoes, but you can still eat them some of the time. It’s really about the amount and frequency. You can have them some, but just not all, of the time. And the amount should be strictly limited. Eat all the strawberries you want, ok? You have to start down this path because you want to slow the progression of your kidney disease. You wouldn’t be reading this if you didn’t. You want to make it stop or slow down. But you have to find something you can do that will last. Over and over you will need to make decisions that are difficult because they are a change from your normal pattern of behavior. It’s ok to be afraid and worried, but you have to do it. Adding some variety to the meals you eat will be a great start. Get a good listing of low potassium and low sodium foods. Eat those most days and only eat higher sodium foods when you are feeling ok. You will see how the salt tastes much stronger and you don’t need as much. Don’t change everything, but do change somethings because you have to. If you like shrimp, eat them. Your food budget is not going to cost more because the foods you cannot eat as much of – meats and dairy – are the higher cost foods in your meals. So you should find some relief when you only are eating the lower amounts of protein. 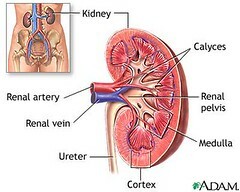 Your body and your kidneys will thank you for dealing with your stage 3 kidney problems when they came up. You don’t have to suffer until you get on dialysis, you can make the best life happen now. You are going to survive, it’s reasonably easy to have a comfortable kidney disease with a meal plan and recipes. Check out our meal plans for pre-dialysis and renal diabetic meals to make sure you are on the right track.